Well, it is finally here! After a long day at the office, I arrived home to a pleasant surprise. My Bob Clay had finally arrived. This is where I will shut up and let the pictures speak for themselves. I'm sure it will perform even better than it looks! Beulah Spey Rod 7/8wt 12'7"
And did you go with spliced ferrules again? Where do you plan to fish this beauty? Took one year and three months. Spliced ferrules as it is the only way to go with a Spey rod made from bamboo. I will be fishing it on the SR when I am home in March and then in Idaho, and BC shortly there after. Throwing a RIO steelhead scandi on it. Grain window is between 480 and 510. Spliced ferrules as its is the only way to go with a Spey rod made from bamboo. Could you give a brief comparison of the builders, James Reid and Bob Clay? Not asking who is better, but you can answer that if you'd like. Did you get to know these guys at all? 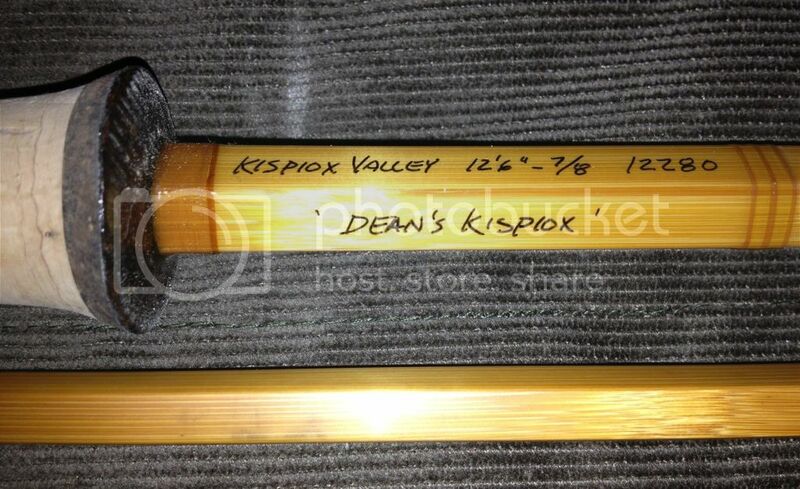 I love the name of Clay's rod - gotta assume that Dean's Kispiox refers to the Dean River? Good on you thats a wicked stick and by far The single Best Bamboo Spey Rod maker alive. 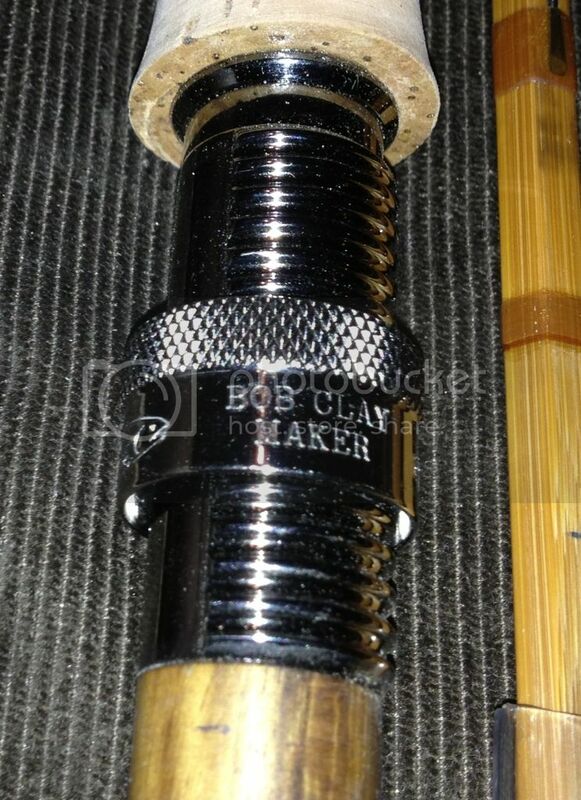 Bob Clay spliced ferrules are the only way to go. All other Bamboo speys are just garbage. Good on you thats a wicked stick and by far rhe single Best Bamboo Spey Rod maker alive. Bob Clay spliced ferrules are the only way to go. All other Bamboo speys are just garbage. Tobias owns a trout spey by James Reid. It looked sweet to me! James builds an awesome stick! I know him and Bob talk a lot, and it would not surprise me if Bob taught James a thing or two with his building. I haven't gotten to cast the rod Bob built me, so I can't say anything about the action. All I know is I won't be disappointed. It's hollow built so I'm sure it will be just as fast as my trout Spey. I will let you guys know once I get her on the water how she feels. I was in touch with James a lot through the build and still talk with him. In fact we have been discussing a salmon/ steelhead Spey he will be building for me in he near future. I kept in touch with Bob and we corresponded a bunch on deciding what length rod would be best. I knew I wanted a 7/8, but was unsure of how big or small to go. So, I went with what Bob thought would be the best all around steelhead rod for me. I will be fishing with James when I get to BC and will stop in to meet Bob if he isn't busy when I swing through the Kispiox area. I will probably not fish my Riverwatch until I get to BC. I think it will only be proper to Christen her where she was built. I am throwing a 480 grain Rio steelhead scandi on it and will see if I like that grain weight or wish to go up from there. Really nice. Wish you many fish with it. I'll order one of these beauties in a few years for British Columbia. Good on your part for treating yourself you deserve it! Glad to read about you enjoying your time home state side. I am surprised that folks aren't taking interest in this. 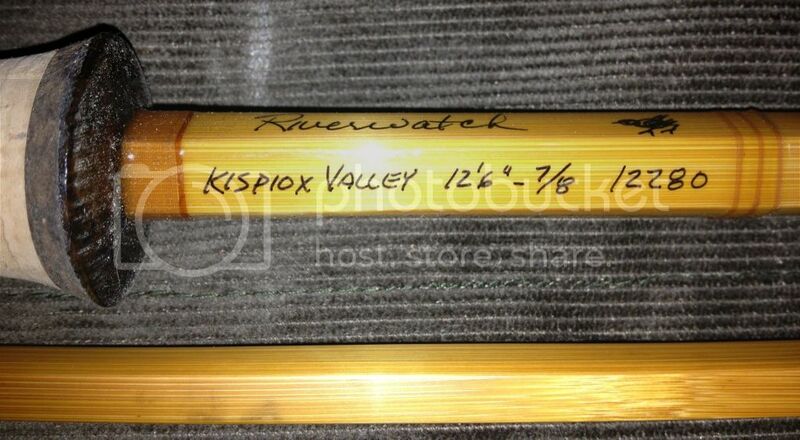 Bamboo Spey rods from BC!! Got to fish the Riverwatch last Friday when I was home. 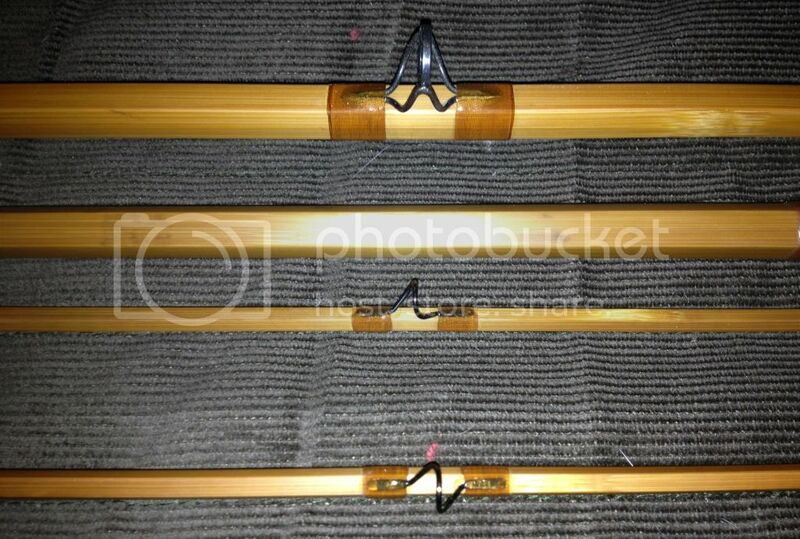 The rod is amazingly light and responsive. Flexes all the way to the reel seat. Bob makes an amazing stick and it was a pleasure to cast. Especially when you slow it down on your casting stroke. I was throwing that scandi 80' no problem. (80' from the tip to the fly) now if I could just get my distance down and add 20 to 30' on my cast I could cover a wide range of water on the bigger rivers. Be back home mid March and be on the water Mon-Fri getting ready for BC and working on my distance casting. I should be able to fish most of the water with what I am casting now, but it doesn't hurt to be able to throw that extra 20'.